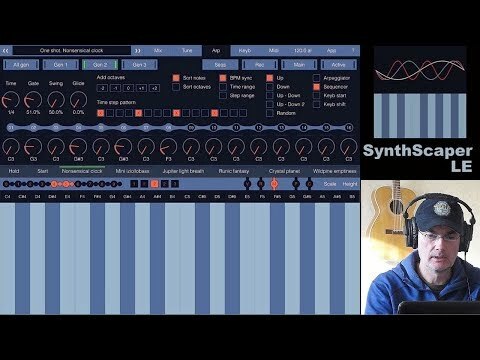 Bundle of two apps SynthScaper and SynthScaper LE is available. Two synth apps complement each other. SynthScaper (advanced version) - synthesizer specially designed for creating and experiments with ambient soundscapes in wide range from noises to melodic instruments and everything in between. SynthScaper LE - The special lightweight version of SynthScaper that let you easily create and modify your own multi-timbral pads and atmospheric soundscapes. You can construct a new sound from built-in library of unique and high-quality presets.